ASK A SHORTLISTER: WHAT KEEPS YOU GOING? We asked the poets shortlisted for our 2018 Book Awards some questions about their writing lives, inspirations and -of course – poetry. Join us for our weekly series Ask a Shortlister until the winners are announced on June 16, 2018. 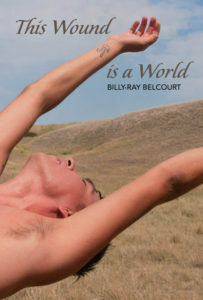 Billy-Ray Belcourt: Now, I write for at least three reasons: (1) to produce a body of writing that elucidates a field of experience that has had little air time – that of queer Indigenous peoples; (2) to marinate in and disentangle the lines of inquiry that come to my mind; and (3) to attempt to do the work of envisioning a future without Indigenous suffering, one where joy is a dominant affect. 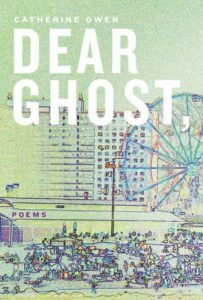 Lesley Belleau: The main thing that keeps me going is that I need to write to survive. If I wasn’t able to express myself this way I would find it impossible to operate in the world. The second thing is that I know so much that Indigenous words need to be published, expressed, spoken and disseminated to all of Canada so vitally that I have made this my life’s work. It is not easy being an Indigenous person in Canada, never mind a woman. There are so many expectations to be traditional in your writing, or expectations to poeticize certain topics or research specific mindframes that it often becomes depleting. 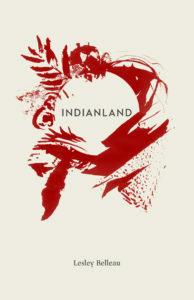 I used to be afraid to write because if I did not write in a certain way, I was either too Indian or not Indian enough. Once I was in my thirties and forties, I realized that our stories emerge in the way that they need to, and I learned not to listen to those voices that silenced me for so long. Jack Davis: The making, the process, the engagement with the materials and the motivations of writing is what keeps me writing. The very personal pursuit of what new things I can make or mimic or think through with words; by accident and chance; by a thing misheard or misapprehended. To follow a whim of a scent of a thought or shape until it begins to take some form, or dissolves altogether, is fascinating and edifying. The way words can be sounds alone and still have the world in them, like the sea is in the shell. I answer that call, or take note of it at least, and the thought that it is there to be noted or answered should I chose is what keeps writing gratifying for me. 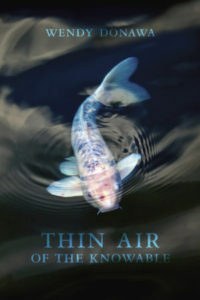 Wendy Donawa: I’m always reading something to do with poetry, whether it’s Jane Hirshfield’s poesis or Tony Hoagland’s marvellous essays or a novel with an exquisite style. Our local reading series, Planet Earth Poetry, is a weekly stimulus with an eclectic open mic and featured readers both local and touring. I belong to a poetry reading group and a poetry writing group. Twice a year for the past decade I’ve been extraordinarily lucky to attend the poetry retreats Patrick Lane (and recently, Lorna Crozier) offer. We hit the ground running in these four-day creative pressure cookers, and they jumpstart the adrenaline needed to keep going in the months ahead. We always come away vibrating with new ideas and with a fistful of promising drafts. We also come away revitalized by renewed contact with a tribe of sentient wordsmiths. Poets are solitary critters, but many of us return year after year, keep in contact with each other’s progress, cheer each other on. Karen Enns: It must be the possibilities in the next poem. What a fine thing it is to start a poem and not know what will come of it. 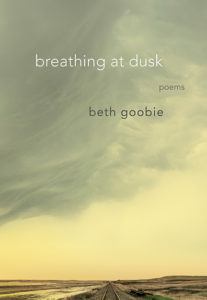 Beth Goobie: What keeps me going as a writer? I’ve been asking myself that question for the past few years. I earn my living as a writer, and have been since my thirties (I’m now 59). I had a lot of angst to work out, due to repressed memories of horrific sexual abuse. I think now I’ve pretty much resolved it, and as a result, a lot of the inner drive has also resolved itself. The welcome part of this process is that I now spend a lot more time interfacing directly with my community – I volunteer at the Food Bank, participate in poetry slams, and play percussion in a community band. And for a while, I lost interest in writing. However, I’m finding now that interest is coming back. My themes are gentler and more joyful, and more focused on the present tense rather than childhood and adolescence. I love contributing my voice to the poetry slam community, to be part of encouraging the voices of newer poets. and to receive their encouragement in return – they give me as much as I give them! 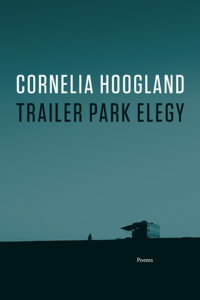 Cornelia Hoogland: I wake up to it. Poetry and coffee. I often stew on poetic problems during the night, though I don’t always remember my ‘brilliant’ solutions. What kept me going when I was writing Trailer Park Elegy? Stumbling around in the poem and suddenly ‘feeling’ a wet dog nose as clearly as, writing this, I see my real dog. “When it hits me. / When I hear. / When the field of his death / becomes my field— / something touches me, / back of the knee.” What kept me going was memories of moments shared with my brother. 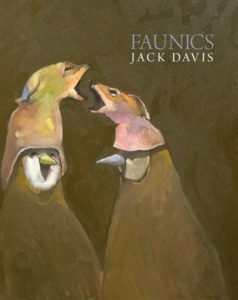 “As the trap, heavy with prawn, neared / the surface, my brother pointed to tiny pink / crabs that clung to the ascending rope /now jumping like fleas to the dark.” What kept me going was seeing his death through my mother’s eyes. “His absence is a room / she walks into. / Every day.” All the tiny discoveries of clarity, insight, and the perfect image. Catherine Owen: READING. Writing regularly. Touring books. 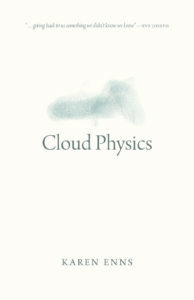 And creating multimedia works with photographs, artists, musicians.